Over 250 Miles of Freedom! 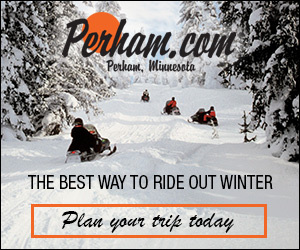 Otter Tail County boasts over 250 miles of snowmobile trails throughout the County. That’s miles of groomed trails that weave around lakes and through wooded areas. Miles of trail that will bring you to some of the most unique places in the County and to interesting cities where you can warm up with a cup of soup or a warm beverage. The most difficult decision you have to make is which way to go. Find out what’s new on the Otter Trail Riders Facebook page @OtterTrailRiders, or, click here for DNR trail updates and more.